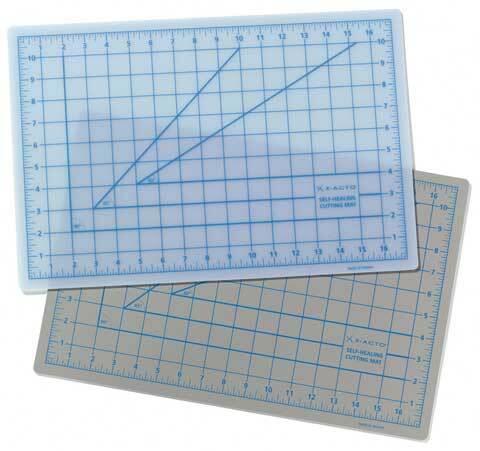 X-Acto cutting mats offer an ideal cutting surface that' s self-healing and very durable. They come in two styles: gray- an opaque 3mm mat with a non-slip bottom, and white- a translucent 1.7mm mat for use on light boxes. Both have 1" grid patterns on their surfaces to aid in cutting. These quality mats heal cuts perfectly every time, outlasting most other cutting mats.